We, as members and partnners of a coalition of businesses, organizations, commercial and recreational fishermen, and individuals under the name of Our Sound, Our Salmon, write to respectfully urge the Washington Department of Fish and Wildlife (WDFW) to reconsider the means by which farmed Atlantic salmon and ready-to-transport Atlantic salmon smolts in Washington state hatcheries are to be tested for Piscine Reovirus (PRV). In the aftermath of the Cypress Island escape last August, PRV was found in every fish that was tested for the virus. Even more shocking were the results of the genetic sequencing, which revealed the origin of the virus to be sub-genotype 1a, or of Norwegian origin, and clustered tightly with a PRV-isolate from Iceland. This is the first time the Icelandic PRV-isolate has been found in Pacific waters, but it raises a critical question— if the eggs used in Cooke Aquaculture's Atlantic salmon hatchery in Rochester, WA come from Norwegian-born fish raised in Iceland, has the industry been allowed to import PRV-infected eggs and consequently plant infected fish into Washington’s public waters? Recent scientific evidence has shown that PRV is amplified by net pens in the marine environment, and that the virus can spread to and potentially harm wild fish. Considering this concerning possibility, we applaud WDFW’s decision to test Atlantic salmon for PRV, both in open-water net pens and at any Atlantic salmon hatchery intending to transfer fish into public waters, and we share the agency’s opinion that Atlantic salmon infected with PRV should not be grown for harvest in Washington’s waters. We believe WDFW’s decision to exclude PRV-infected fish from public waters is well in line with a precautionary approach, an approach that is necessary when considering the needs of wild Pacific salmon and steelhead. We have deep concerns, however, over the agency’s chosen means for testing for this virus. 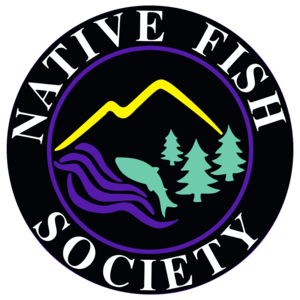 We understand that WDFW has dictated that a private veterinary consulting group will be conducting viral sampling and testing for PRV, and that this chosen group is currently a consultant for, and has publicly testified on behalf of, the Atlantic salmon aquaculture industry in Washington state. Due to the potential consequences of PRV testing in Atlantic salmon hatcheries and open-water net pens, we are concerned that any private entity, even an entity that had not previously exhibited a predilection for the aquaculture industry, could fall under the influence of outside interests, and could experience difficulty in testing for PRV in an impartial manner. As is stated in WDFW’s own investigative report into 2017’s Cypress Island Atlantic salmon escape, the Atlantic salmon net pen industry in Washington state has misled the public on a number of occasions in the past year. As a result, public confidence in the industry’s willingness to act candidly and in the best interests of Puget Sound has eroded. A fundamental principle of good resource management is to ensure the public that the outcome of consequential testing is the result of rigorous science conducted by independent investigators free from any reasonable perception of bias and/or conflict of interest. Following this principle, the signees of this letter urge WDFW to conduct PRV testing internally, using appropriately qualified staff. As an agency, WDFW owns both the scientific means and legal authority to sample and test for PRV in operating net pens and hatcheries, and we, as a coalition, would have far more confidence in test results from a governmental agency than in results coming from the industry's consultant. We urge WDFW to make the results of those tests available to the public as soon as is feasible, and we stress that an impartial testing process is essential to assure the public that the Atlantic salmon net pen industry is not causing additional harm to our marine environment and our cherished marine species. Thank you for taking our concerns into consideration. If you agree, please sign our petition below to WDFW requesting for impartial state conducted PRV sampling and testing. If not affiliated with a business or organization, write 'independent'.